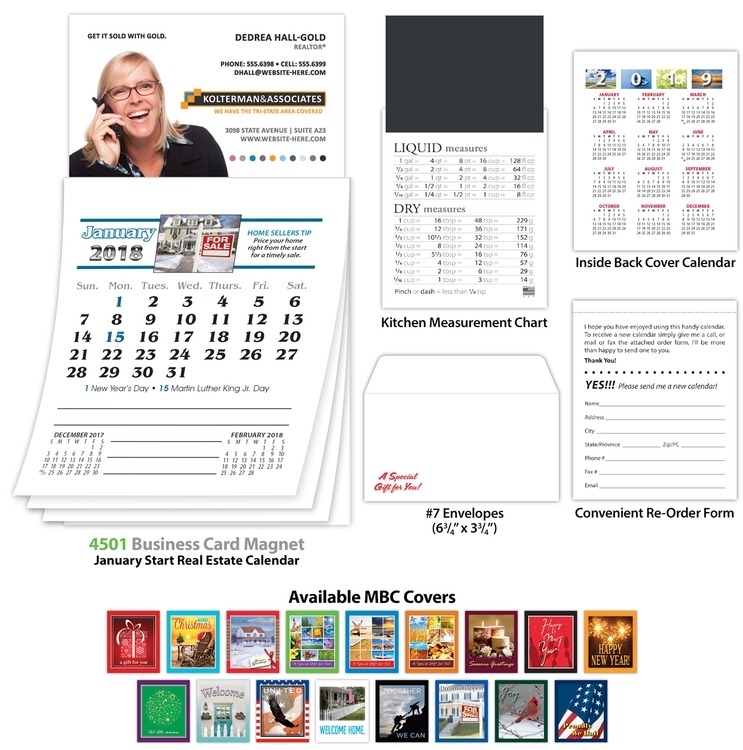 usiness Card Magnet plus the new and improved stitched binding full color Real Estate Calendar equals one great selling product! 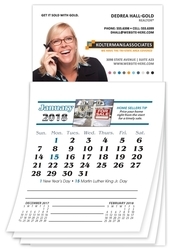 Your magnetic business card is attached to this 12-month real estate calendar which gives you a lasting impression with your customer. Prices include 12-month real estate calendar with U.S.A., Canadian, and Jewish holidays highlighted. Real Estate has full-color pictures and Home Buyer''s or Seller''s Tips on each month page. Convenient re-order form, and next year''s calendar and amortization chart on backer card. 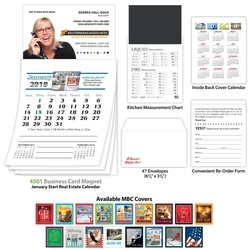 Business Card Magnet plus the new and improved stitched binding full color Real Estate Calendar equals one great selling product! 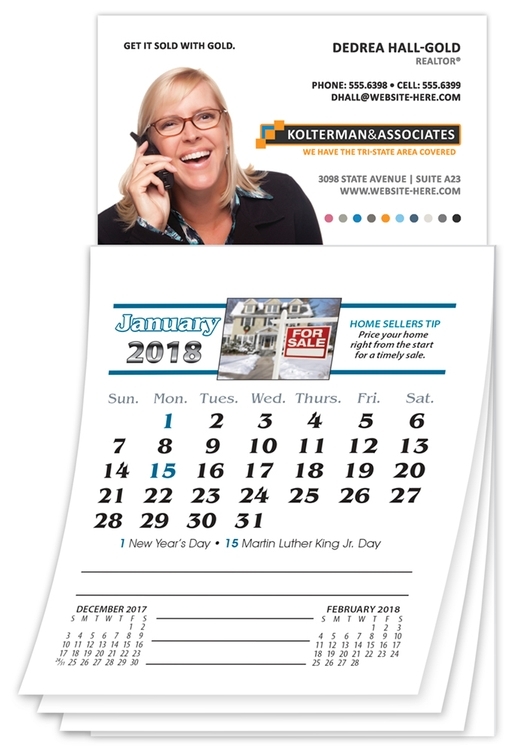 Your magnetic business card is attached to this 12-month real estate calendar which gives you a lasting impression with your customer. Your name and contact information will be easily accessible for quick reference. Buy for your whole office and share. Prices include 12-month real estate calendar with U.S.A., Canadian, and Jewish holidays highlighted. Real Estate has full-color pictures and Home Buyer''s or Seller''s Tips on each month page. Convenient re-order form, and next year''s calendar and amortization chart on backer card. "Kitchen Measurements" artwork on back of backer card. A pre-printed "A Gift For You" #7 Envelopes, size of 6.75 X 3.75.